Confession time. I’ve read a couple of Jennifer Jaynes previous books and absolutely loved them so seeing her name on this one I didn’t even bother reading the blurb and just grabbed it. I don’t know if not having a clue what I would begin reading was a good thing but obviously by my rating I made the right choice. So anyway… about the book in case no one else is as daring as I am and doesn’t just jump in blind. Daniel Winters is a successful pediatrician who has just returned from his honeymoon with his beautiful new bride. It doesn’t however take long for the perfect feeling Daniel had been enjoying to disappear. Upon returning to his practice Daniel finds the other doctors have began prescribing a new drug to their patients and pushing it aggressively. However, as Daniel begins to realize the drug is not what it seems and more research has him really concerned. And if work wasn’t stressful enough Daniel also begins to question his new bride who seems to be keeping things from him. Now the first thing I noticed was the exact reason I jumped at reading this book, it took all of a few paragraphs to become intrigued and the farther I got the more intense and engaging the book becomes. 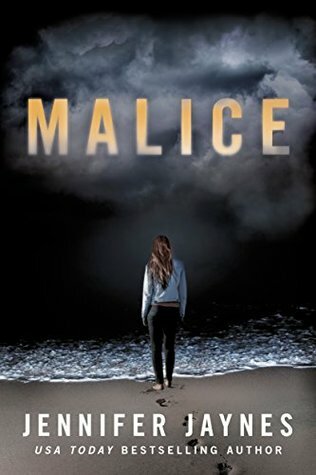 The author does a wonderful job in the thriller genre making a reader question everything and everyone while hanging onto every word. And to top it all off I could honestly see this happening in real life which makes it all the more intense. So yes, when it’s said and done just grab a copy and try this one for yourself. #1 USA Today and internationally bestselling author Jennifer Jaynes graduated from Old Dominion University with a bachelor’s degree in health sciences and holds a certificate from the Institute for Integrative Nutrition. She made her living as a content manager, webmaster, news publisher, medical assistant, editor, publishing consultant, and copywriter before finally realizing her dream as a full-time novelist. Jennifer is the author of six thrillers, including Disturbed, The Stranger Inside, Never Smile at Strangers, Don’t Say a Word, and Ugly Young Thing; and the children’s book I Care About Me. When she’s not writing or spending time with her husband and twin boys, Jennifer loves reading, cooking, and studying nutrition. Visit Jennifer at http://www.jenniferjaynes.net. Wow, another 5 star review from a blogger I trust. I also read a couple of her other books and I agree, there is no slow lead up, you jump right into the story which I loved. It especially hooks me if it is probable and could really happen. Great review Carrie, I will have to jump into this one.